I love monthly Challenges I Love Love Love Challenges. I think its my competitive nature, my inner I can do anything! I love starting challenges and see how long I can go before everything turns to Sh*t.
I make no promises I’ll make it to the end…. I never do, some things yes most things no. Life just gets in the way. I remember once I was trying this no eating at 7pm challenge, I vague remember it was good for you in some way, but then my boyfriend of the time took me to dinner and then I had cake and then we got ice cream….. I do the Abs and squats all the time, I think they are great. I don’t them as often as I should. I have modified the makeup challenge a little, as I work in a very corporate environment and I’m not rocking up to a company meeting with NEON eyeliner. drink a glass of lemon water first thing in the morning when I walk up. 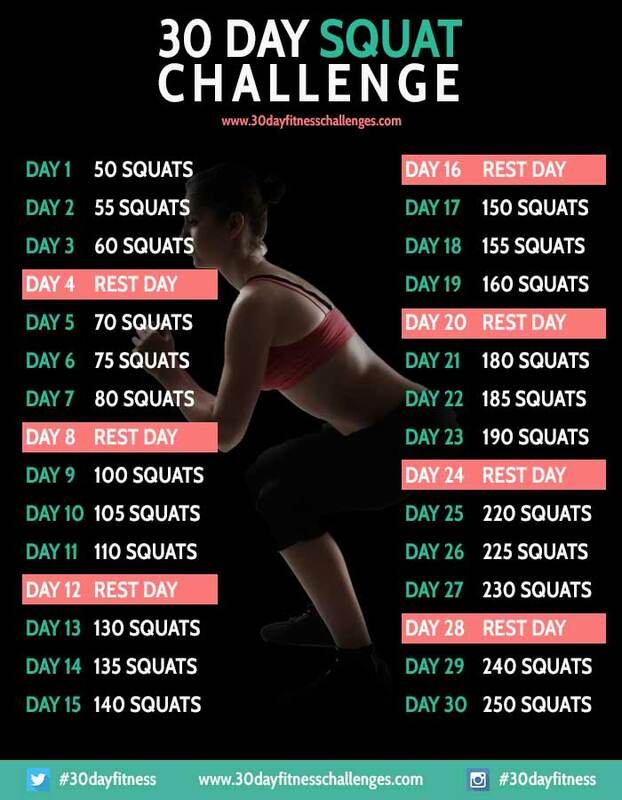 Are you starting an challenges? Do you recommend any? 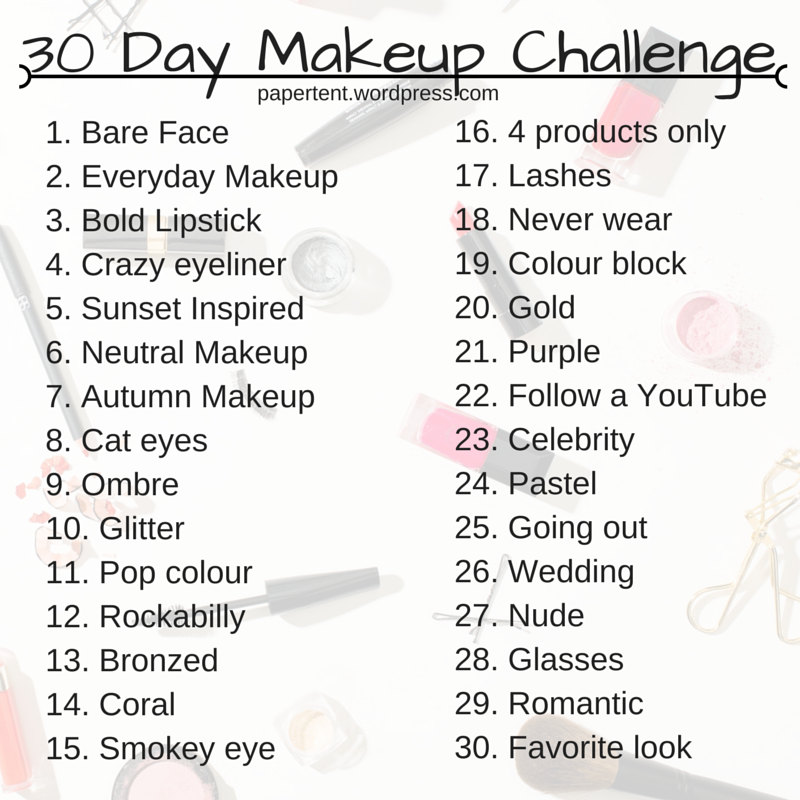 30 Day Makeup Challenge, I made myself because I has to tweak it. Good idea with the makeup challenge! I have found I like no love, LOVE challenges. I don’t while I am in the midst of it in fact I find myself in tears during the challenge then THEN I complete the task at hand and find myself ELATED I was able to do it. 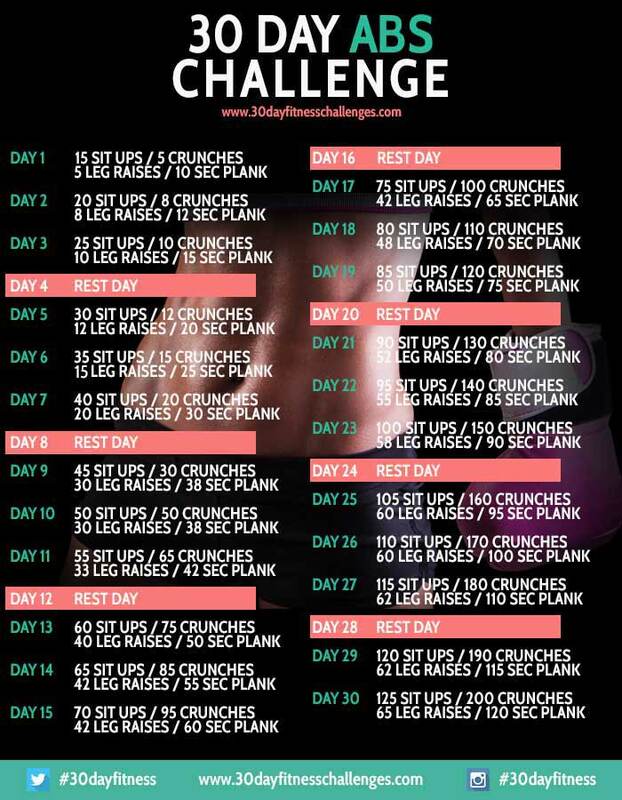 I loved doing the ab and squat challenges! Don’t have any challenge plans for April, but am thinking about doing the c9, fit1 and fit2 programs (total program is 69 days) from Forever Living Products.. But, am having a hard time making the decision to start, haha. I will though, just not today. And with hard work comes great results!